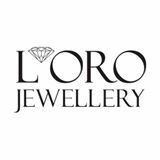 L'Oro Jewellery is uncompromising with a keen eye for detail in quality jewelery. Discovery top products from leading brands in timepieces, jewellery, gifts, and accessories. Visit L'Oro at CF Sherway Gardens to see our lates watches and jewellery.